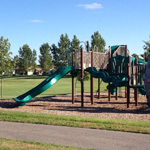 Parks and Recreation « Cologne, Minnesota | A great place to Live, Work and Grow! 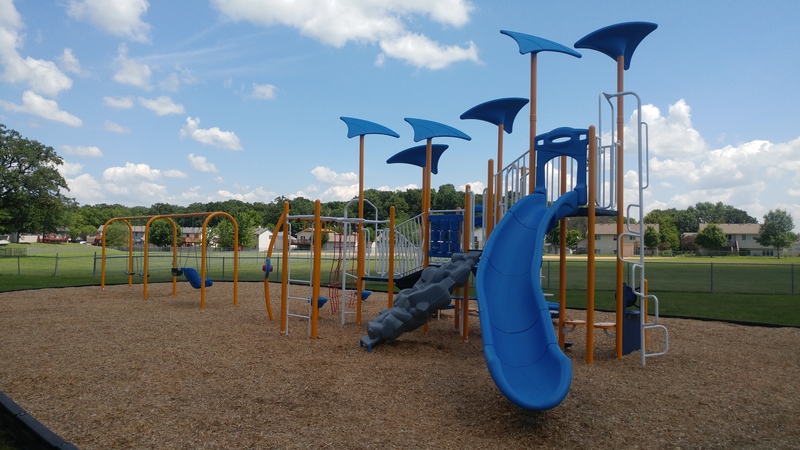 The City of Cologne home to a wide variety of parks and outdoor spaces for our residents and visitors to enjoy. Whether you are into sports like baseball, basketball or tennis . . . or just looking for a great spot to enjoy the afternoon with your family, the City of Cologne has the perfect spot for you. 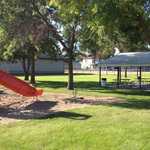 Marion Field has two youth baseball diamonds and a family play structure. New trails were installed in Marion Field in 2009. Long term plans include a bathroom/shelter facility. Walking trails are provided from either street. 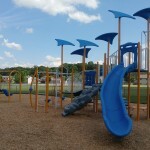 The park has a large family play structure installed in 2007 along with a basketball court. A large open area for pick up flag football games, kickball or just a game of catch. New trails were installed in 2009 to make the park handicap accessible. The park features a youth baseball diamond, tennis courts, play structure and a picnic shelter. Picnic shelter can be reserved for private events. 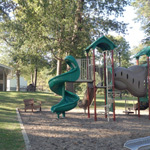 The park boasts a softball field, play structure, picnic shelter, restrooms and mature trees for a comfortable picnic. Picnic shelter can be reserved for private events. 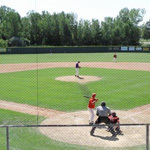 The field hosts the Cologne Hollanders baseball team and local school teams. A new retaining wall was installed in 2006, in-field irrigation in 2007, bleacher seats in 2009 and a new outfield fence will be installed in 2010. The Cologne Hollanders take great pride in the field and put in a lot of sweat equity to make it a wonderful hometown park. Come out and enjoy a game! 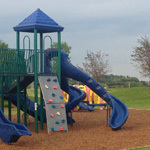 The park features a play structure and irrigateted fields for future soccer and baseball fields. The park hosts the annual Cologne Fire & Rescue Drive-in Movie Theatre held in August of each year. The fishing pier is located at the corner of Paul Ave. and Church St.
Benton Lake is a 49-acre lake located on the north side of the City of Cologne. The lake has been stocked with sunfish and crappies since 2014. 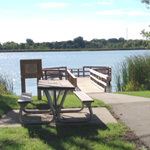 The pier location also includes a walking trail and picnic area. 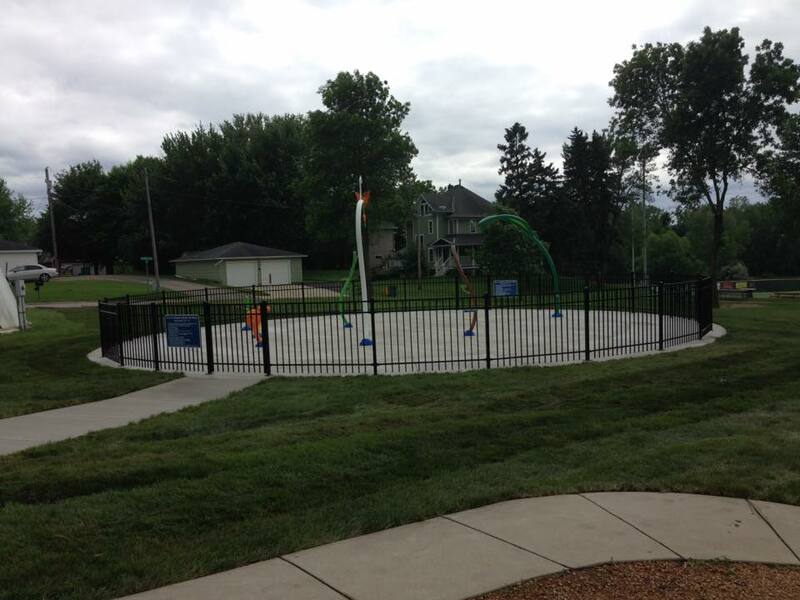 City Square Park hosts the new Splashpad. Hours are 10am to 8pm, 7 days per week. The park also plays host to the annual Cologne Glad Days Festival. The Splashpad is closed for the season. It will reopen around Memorial Day 2018.